We are in the ‘Christmas Rush’ also known as shopping, mailing. wrapping gifts, sending greetings. making cookies, decorating the house inside and out, and having company or visitors. As we exhaust ourselves getting all these things done, we sometimes miss the opportunity to worship and celebrate the birth of the Christ Child, the Reason for the Season. Considering all the technological communications we have available to us today – phone landlines, cell phones with message recorders, call waiting, call forwarding, smart phones, texting, emails, internet and pagers & faxes, so we can be sure to get that important message one way or another. We don’t want to miss anything. But are we missing the most important message of all — God’s message to us? Do most people listen to this Good News? Or are we too busy wrapping packages, making our list and checking it twice. Maybe we have every day on the calendar filled with social events but have we included Jesus? Can we have a party without the Guest of Honor? Many of us do. How can we include Christ and keep Him in Christmas? What can we do to keep him in our hearts & minds? We can forgive someone we are at odds with. 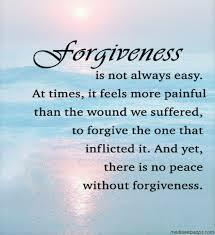 Or send a letter of forgiveness to someone whom we are angry and/or stopped talking to. Could we make amends for some miscommunication or a bad attitude? Can we have our own epiphany over some matter that we saw only our side on? Can a ‘light of revelation’ be found in the actions of others and our reaction to them? Can we cause a chain reaction of kindness through our actions? We might gather balm for others as well as for ourselves if we see matters in another “Light”. You can be a “light’ to others by your actions, giving to charity, helping someone through a bad time or simply smiling and being kind. It might be the only smile a person receives all day. Once I had a dream in which God told me He was sending me a gift. It was a very pleasant dream and shortly after, I received two meaningful gifts on the same day which could only be from God. I wondered which one of them was the gift of my dream. Off and on, I wondered about this. But which one was my ‘dream gift’? They were equally wonderful. One day, much later, I had an epiphany. They were both from God as are many other blessings He has bestowed upon me, Every thing good that He sends me is a gift. And in His Wisdom, I felt He sent me two together, knowing I would ponder and wonder about it. It took me awhile, but I got it. All good things come frm God and All are His Gifts and I gave gratitude not just for one ~ but for all. Your small gift or action can multiply by others’ reactions. Christmas gifts don’t have to be expensive or big – they can be given from the heart with love and appreciation for the gifted. I have read that the majority of us have issues or health or heavy matters surrounding them – a small gift to someone in need may instill like gifts to others. Actions have reactions. Also – no actions can have reactions. Fix something in your life that is broken; mend broken relationships or quietly aid others with kindness or sharing good will or prayers for them. If you want to keep it private, have a homemade prayer box and fill it with prayer requests for those in need – near or far. You will have sent them the Light of Christ. Pass along an action that an unsuspecting someone will react to with happiness ~especially if it will be a surprise. It will be balm for both of you. Will you read this and pass Him by — on your way to preparing for the holidays? Or will you pause, stop and share your heart and mind to the Light of Jesus and welcome Him into your life? 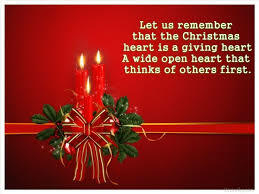 If you do, you will truly have a Joyous and Merry Christmas! On the Thursday before Easter Sunday, you agonized in the Garden of Gethsemane awaiting your destiny of rejection, torture, humiliation and debilitating pain. You submitted willingly to Our Father’s Will be done. For us. It is difficult to read or watch visuals of what was done to you. You did it all for us. All of us. It’s also very difficult to watch the people you died to give salvation to, turn their backs on you and worse, reject your deity and teachings. You taught us about love and there is hate all around us. You taught us about love of families and families have splintered. You taught us about marriage between a man and a woman, and marriage has morphed into what the world wants, not what you taught us. You taught us that marriage is important for procreation, but the world wants to abort babies, not create them. You gave us a new covenant but the world chooses greed, power, and narcissism over sharing, humbleness and stewardship. 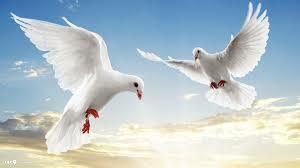 You taught us peace, church community sharing and honesty; instead we have violence, bullying and untruths. You promised us abundance if we follow your path, and instead the world has forged its own path of idolatry, selfishness, and ungodliness. And it’s falling apart. The Word tells us to praise and glorify God and the world tells us it’s superstitious, ignorant, and discriminatory to listen to your Words. We are called extremists and radicals and they call themselves progressives and socialists. We want to stay faithful to you and they want us to denounce or hide that faith. There are many of us who believe in who you are and what you taught through Our Father. And we also understand what you taught and how it will end. Thank you for the gift of spirit that endures our faith. We’re sorry if the path leading to you is narrow and the path that leads away from you is wide. But it is their choice and we were given free will to choose which one we will take. In the long run their choices are not long-lasting, and become unsatisfactory and unhappy. And empty. “Eye has not seen nor ear has not heard what God has ready for those who love him.” Thank you, Jesus, for making it possible. On Easter Sunday, we rejoiced with you. We love and thank you. Jesus asks, “Are you Asleep”? Today, I ask you: are you asleep? Can you not spend one hour a week watching and praying to Jesus to protect you from tests and trials? Do you find other things to do even though you feel you should spend some time in thanks, praise and prayers in God’s House? Or do you go to church and think of other things while you are there or check out who is attending? Do you listen to the sermon and apply it to your life? If you have a church that has communion, do you receive it and quickly walk out the door once you have and not spent some time in the communion of soul with Christ that you just received? Once you form a relationship with Jesus, you will feel differently about praying and praising Him. Forming a relationship with Him is easy; simply find a quiet place and talk to Him. In your own words and feelings. Ask Him to lead you, teach you and give you the gift of Himself. He will answer you – he answers in different ways. He may answer you in thought, or feelings, or signs and acts. You will feel it. Once your spirit is willing, your flesh will no longer be weak. You will be stronger in any and all tests that may come your way. Peace will be yours. He will guide you and hold your hand. You will never be alone again. 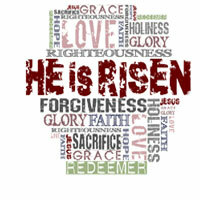 We celebrate Easter through His death and resurrection to be the light and inspiration in our lives now and forever. If you want to know Christ intimately, pray to the Holy Sprit for Wisdom and Understanding and read the Bible – start with the New Testament and Jesus’ Words. You will receive a Gift that will save your life. Forever. Are Statues Idols? And do Catholics Worship Them? Question: Where does the Catholic Church stand on images of Christ, statues of saints, pictures of the Sacred Heart of Jesus, Our Lady of Guadalupe, etc.? Is it wrong for me to have these items in my home? I know that our Church does not worship idols. Yet I would like some more information on what we believe. Answer: When I was a young man, I read a story by Stephen Vincent Benét titled “By the Waters of Babylon.” The mood was one of a traveler finding the ruins of a previous civilization. Throughout the story the hero kept coming across an idol of the God Ashing. At story’s end, the reader discovers Benét has looked into the future and the city of New York, after some great catastrophe. The “idol” is simply the ruins of a bust of George Washington. My point is simply that people can misinterpret, misconstrue and fail to understand what others are doing or have done. The next time someone criticizes your use of statues, or accuses you of idolatry, you might ask him if he has a picture of his wife or children in his wallet. If he says yes, ask him why he is worshiping them. Or ask him if he thinks all those tourists going out to see the Statue of Liberty in New York, the Lincoln Memorial in Washington, D.C., or the faces of the presidents on Mount Rushmore are guilty of idolatry. Those statues, like pictures of George Washington in so many courthouses, are ways of honoring heroes from the past. They put us in touch with great people in our history. They become occasions for teaching children about the past and offering examples of great citizens. 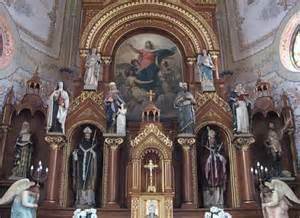 Stained-glass windows, statues and paintings have long served these same purposes in the Church. Crucifixes and statues of the Good Shepherd or Sacred Heart remind us of Jesus’ sacrifice and love for us. 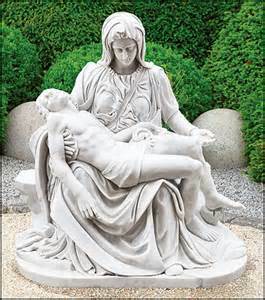 Statues of Mary and the saints recall the heroism of the saints and suggest to us what we should strive to become. They are occasions for telling the children of today about the real saints and heroes of the past, for telling children what it means to live out their faith and religion. To all of us they offer the occasion to reflect and pray on the action of God in our lives. They help us to better sentiments of piety, call upon us to express our own faith and love. In honoring the saint we honor God who has worked such good and holy things in and through the saint. It is an unfortunate fact of life that we simply can’t get along with everybody. If we are lucky, we have good relationships with our family and friends and in-laws, but every once in awhile, there is someone who becomes a literal ‘thorn in our side.’ Sometimes, it is apparent why this happens. But other times, as much as we analyze and pick the relationship apart, conversation by conversation, we can’t understand totally why this happens. Call it karma, call it fate, call it ‘that’s life in the big city’ ~ it can play havoc with our lives. This is especially so, if it is a family member, a spouse, or an in-law. What do you do when it is a sibling, a parent or God forbid, a spouse? I was immersed in a dysfunctional relationship where emotions on both sides overrode logic. I tried my best to avoid social encounters with this person. When I couldn’t or didn’t, I either bit my tongue in all conversations, held back lashing back to a minimum, or feigned sickness to avoid him. On occasion, I worked more, socialized less or buried myself in a book. When he was present, I felt stressed and prayed that the day turned out okay and not into a fiasco. Others were counting on me to mend the gap and just ‘keep cool’ or ‘chill out’ or anything short of sitting on me and duct-taping my mouth. They told me silence was golden. Even silence was stressful. I tried many different avenues of being civil, thinking it may work out. But, when it didn’t work out, there was always a ‘stress situation. He was a ‘long-history person’ in my life. We simply were like mixing oil and water. We always were. Words spoken were not taken the way they were meant. Get togethers became strained. Attempts to make it better made it worse; and the chasm opened wide and threatened to swallow us. This relationship caused additional spiritual stress for me: didn’t God tell us to forgive seventy times seven? Aren’t we supposed to ‘love one another as He loves us”? How could I reconcile this fractured relationship with my faith? How could I change into something I wasn’t or accept what I couldn’t. I knew I could not or want to change him. Over time, it was apparent it was futile and there was no solution. Please understand that this minister was not suggesting that I disregard any and all people that I had difficulty with and wipe them off like dust. Remember, we are all imperfect. And this wasn’t a case of one being right or one being wrong – we were simply incompatible. I found a serene feeling of letting go that day. And I followed his advice. I also began praying for that person. And that was very difficult for me. The first few prayers were stifled and stiff and seemed to get stuck in my throat. It felt so insincere. But I kept at it and in time, sincerely meant the prayer. I pray for this person to this day. I pray for his peace; I wish him well-being and remind myself that he is loved as a child of God just as I am. But even different hearts can learn to live in peace. Do you Have …. or Have you Not? When I graduated from college, someone asked me what was the greatest thing I learned? In truth, the greatest thing I learned was how little I knew about all there was to know. Faith works like that, too. The more I learn about God, the more I feel there’s so much more to learn and know about Him. If you live in a country like the USA, as I do, the average person has a home, a car, clothes, and time to travel and to entertain. If the average American wants something special for breakfast, he can go to a restaurant or a food store and buy it. To people who live in poor countries, they might not have any of these things ~ they may not even know what or when they are going to eat from one day to the next. How blessed we are. Do you ever wonder, like I do, why I live here in comfortable conditions, when others live in poverty? We know God through His Word, the Bible and His Reasoning. Our Life Plans for us aren’t written in contract form. He does give us many mandates, commandments, parables, and teachings from His Son, Jesus, to give us a pattern and way of living. It doesn’t say anything in the Bible about having the biggest house or the best furniture or making the most money. He does tell us how to have traditional relationships in marriage and love; he tells us how to raise our children, and what makes us happy in life and what is good and what is not good for us. He is our Father. He sent His Son, Jesus, so we would know what The Father is like so we can communicate with Him. I ask why has God blessed me so? I’ve had my share of trials and tribulations, but my faith in God has always sustained me. He has given me an abundant life – why does He do that? He loves everybody and we’re all equal in his eyes….why are some in unfortunate situations and others always griping they want more? And why do some who have plenty want more and more? What about you? Do you live an abundant llife? Do you always want that new car, latest technology, or fashion design? Do you feel blessed? Or are you OK with what you want and have but need something else to make you happy and fulfilled? Perhaps a quiet time with Our Lord seeking his Will and Plans for you would put your life in a different perspective. The more you get out of your time with Him , the more you will seek it and understand it. Many books have been written about good examples of leadership. 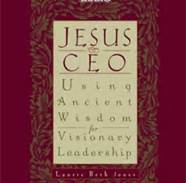 The book, Jesus, CEO; Using Ancient Wisdom for Visionary Leadership by Laurie Beth Jones is well-written, and a highly useful example of the characteristics of biblically-based leadership applicable to our management world today. Her book brings together the hard and soft skills of love, inspiration and good will into any organization’s leaders or team leaders. A preface in the introduction of this book states: “One person trained twelve human beings who went on to so influence the world that time itself is recorded as being before (B.C.) or after (A.D.) his existence. This person worked with a staff that was totally human and not divine…a staff that in spite of illiteracy, questionable backgrounds, fractious feelings, and momentary cowardice went on to accomplish the tasks he trained them to do. They did this for one main reason – to be with him again. His leadership style was intended to be put to use by any of us.” Much can be learned from Jesus’ visionary leadership style today as much as it was 2000 years ago. The author, a successful businesswoman, believes that Jesus’ management style incorporates the best of masculine and feminine leadership styles, by harnessing spiritual energy, so that both males and females can become empowered leaders. She explains that this can be done by using three categories of strengths: 1] the strength of self-mastery; 2] the strength of action and 3] the strength of relationships. This book is described as a must-read for college business courses. It exhibits the core competencies of training and soft skills. Change is inevitable in all of our lives. 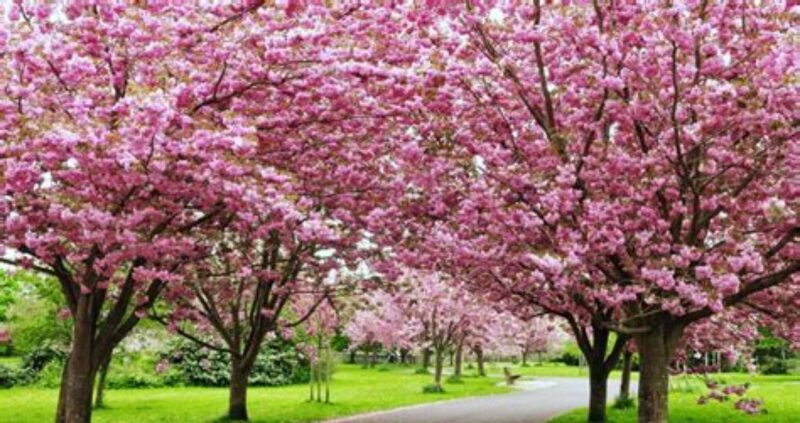 While most of us don’t like change, life events force them on us. We experience getting married, getting divorced, starting a family, fluctuations in the economy, fractured family relationships, starting new jobs, losing jobs, relocating, empty nest syndrome, health issues, illness of a loved one, or death of a loved one. 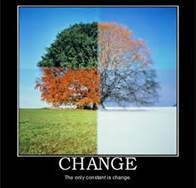 Most change issues cause stress and/or anxiety. Even happy events can cause stress: your wedding, new job, new house, new baby and even winning the lottery! How do we handle the stresses of change? We might try drinking, smoking, eating, venting, exercising, or joining a self-help group. Sometimes life hands us a ‘cluster’ of changes which can overwhelm us and cause us to lose our balance of life. What do you do when you are over-challenged with life changes? Jesus experienced changes in his life. He was the son of a carpenter and in three years of ministry became a prophet and Savior. 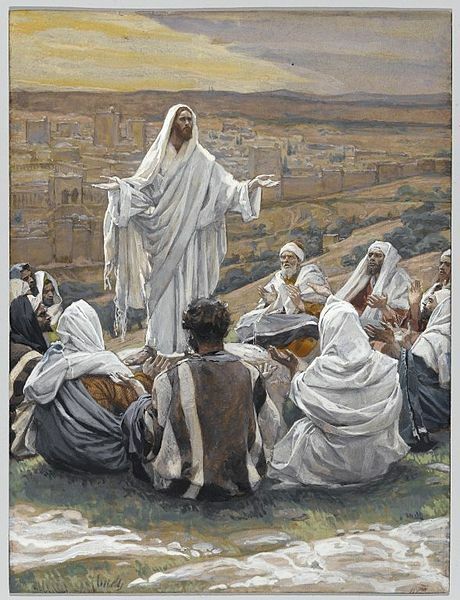 He dealt with many changes and emotions: anger in the temple; frustration with His disciples; sadness with tears when friends died, and sweating blood agony in the Garden of Gethsemane. How did Jesus handle these events? He often went out in the desert or to a quiet place by himself to pray to His Father. Even Jesus needed to renew His soul. You don’t have to make life’s changes alone. Let Jesus help you. Literally, reach out to him, and surrender your stress changes one by one and ask for his help. Visualize him taking each one from you. Don’t take them back. He promises and will help to renew you. "Wherever or whenever you are experiencing darkness of the soul, Jesus is there, a Light shining in darkness. We need not see and believe, but instead we have the opportunity to believe and see." Blessings for a Light-filled Easter. He Lives! “Easter, when delight was turned to disappointment and disappointment was turned to delight. Surely Satan and the forces of evil must have thought they had won the great battle. If the forces of evil could have danced, surely they must have been dancing in the streets. They thought they had killed the Son of God. Darkness seemed to have been reigning supreme from the time when Judas and an armed crowd, came to arrest Jesus under the cloak of darkness. Darkness provided the cover for the evil intentions of those persecuting Jesus but also for the shameful abandonment of Jesus by his disciples. Even Peter had to slink away into the darkness to hide his shame. 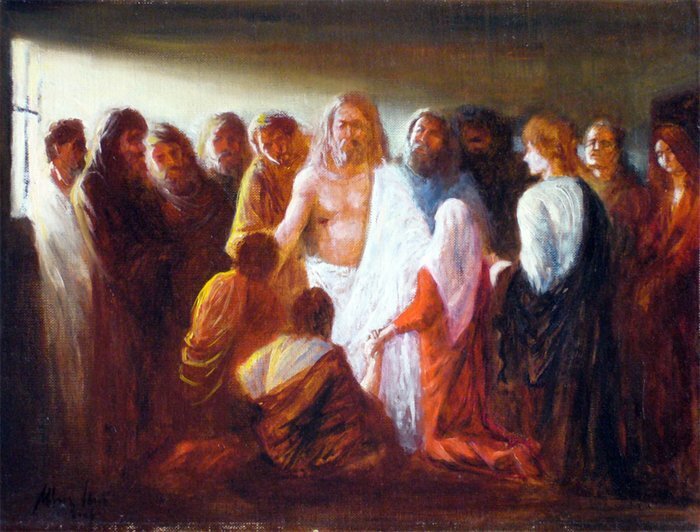 How the forces of evil must have rejoiced as “from noon onward there was darkness over the whole land,” until at last Jesus “gave up his spirit.” How they must have believed that this darkness was just a foretaste of the spiritual darkness which would envelope the earth unabated by the Light of the World. But God had another plan and turned their delight to disappointment. While darkness still seemed to reign, Mary Magadalene and her companions, and later Peter and John, came “while it was still dark” only to find an empty tomb. Disappointment upon disappointment, or so it seemed at first. But when they realized that the face cloth was separate from the other burial wrappings, a ray of hope and light pierced the darkness, never to be extinguished again. Rather, it was a ray of hope and light which was to grow in brilliance as Christ’s resurrection became known and its meaning understood. Praise God, disappointment is now turned to delight! Christ’s arrest, suffering, death, burial and resurrection introduced a new creation, a new life that has not only escaped the bonds of death but also the chains of enslavement to our natural passions and their subsequent evil behavior. With Jesus’ resurrection comes power to live differently. Jesus introduces a whole new perspective and purpose to life—life lived in union and communion with the Trinity. This new-creation life is described in Ephesians 5 as walking in the Light because through the Holy Spirit’s abiding presence we are able to see life with new insight. In addition, walking in the Light implies a life of holiness is possible, free from the shadows of darkness. Scripture text is from the Revised Standard Version, Catholic Edition, (New York: The National Council of Churches) 1997, c1994; Reflecting On Sunday’s Readings, Copyright 2002-2013, Richard A. Cleveland.